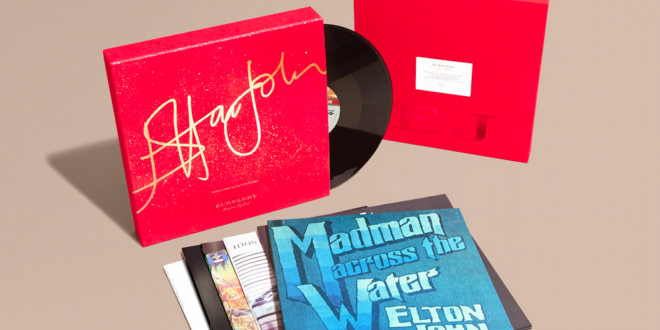 Singer Sir Elton John has partnered with fashion house Burberry to launch a limited edition vinyl box set featuring six classic albums. The collection of LPs are presented in a Burberry-designed box that has been decorated with gold glitter and John’s signature gold lettering. 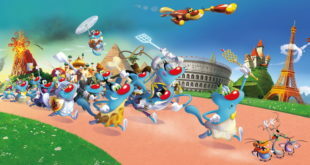 The records, which have been selected by the singer himself, include re-mastered albums originally released between 1970 and 2001. The albums include songs From the West Coast, Madman Across the Water, 17-11-70 and more. The vinyl box set will be available at Burberry stores and online from November, retailing for $375.